Congratulations to Williamsville Native David Leggio! 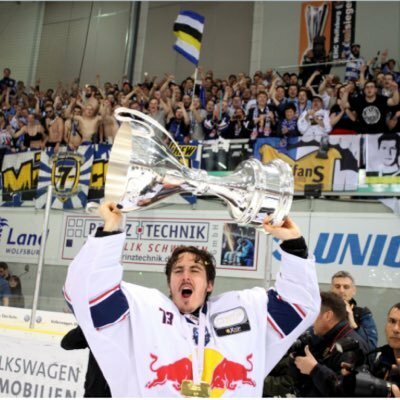 Uncertain where his pro hockey career would take him next, Leggio found a home with Red Bull Munich in the German DEL. The Clarkson graduate completed a strong regular season and followed it up with an even stronger playoff performance for the Red Bull. Playing in all 13 games, Leggio posted a 1.66 GAA and a 93.5 SV% en rout to his teams first ever DEL Championship! Dedicating the victory to his wife back home, the much deserved honor is befitting of an outstanding goaltender and an outstanding person. Congrats David, Enjoy! You’ve earned it!